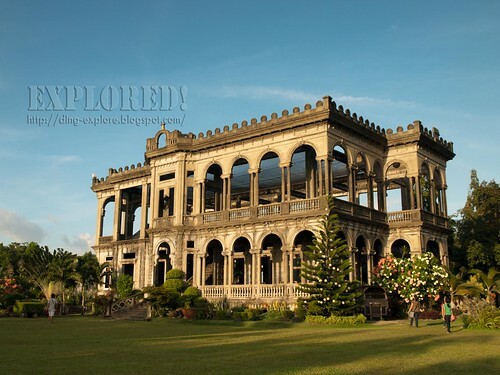 If there is one most photographed architectural gem in the Philippines, perhaps, it would be "The Ruins" in Talisay City in Negros Occidental. Why not? Despite the fact that it is just a remnant from the savagery and conflict of WWII, no one can deny that this piece of architecture, exudes beauty from the past that lingers up to the present. It is also an exquisite rendition of a marriage of cultures, and a representation of a fine taste of architecture of European influence. 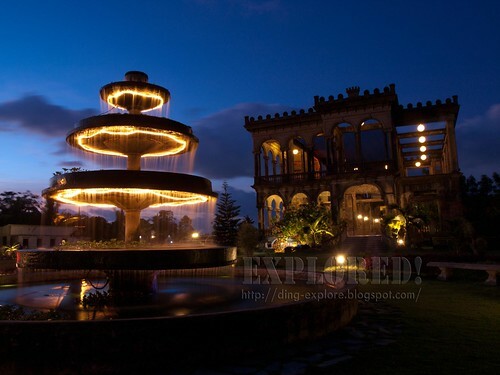 Touted as the Taj Mahal of the Philippines, this also becomes an icon of undying love and devotion. 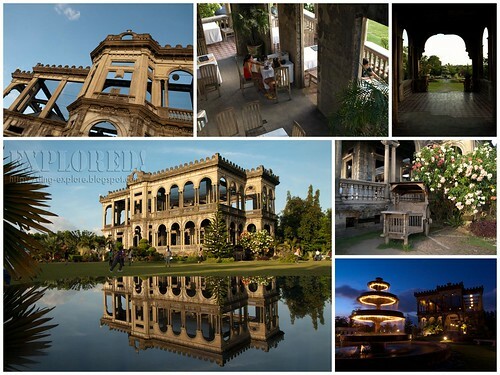 So many stories have been told about this place--details of the architecture, its historic and glorious past--but there is one thing that is not missed--the enduring love affair between Mariano Lacson and Maria Braga. 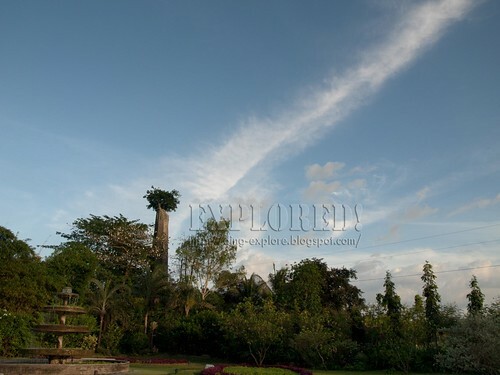 From afar, The Ruins majestically stands in the middle of a sugar plantation. Back in the day, one can only imagine how grandiose it was. Being in The Ruins allows one to travel back in time. 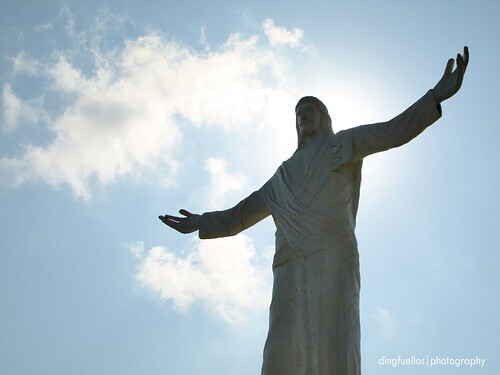 As one reads bits and pieces of historical facts posted on the walls, from how it was made, what it was made of, it becomes clear why it was built in the memory of Maria that becomes the symbol of Mariano and Maria's love for each other. Photographing The Ruins is one great opportunity for a photography enthusiast like me. Photographing it in two days, and at different times even makes it even more thrilling and fulfilling. Here are some of the photos I took, with some factual information lifted from their brochure. 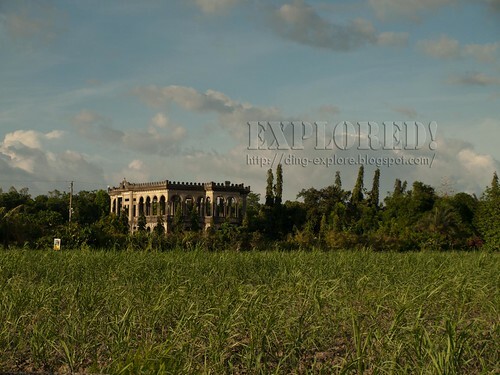 The Ruins stands majestically in the middle of a 440-hectare sugar plantation. The house which has European influences is made up of high-grade concrete. 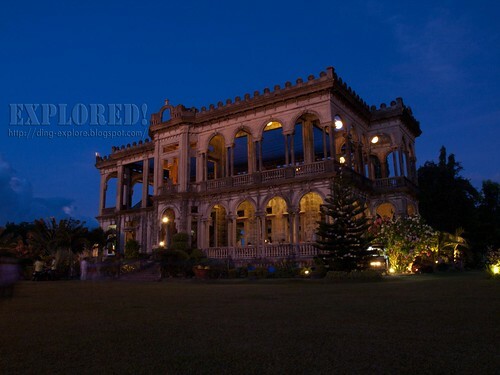 The smokestack or simborio is the most intact relic of its kind in existence today. 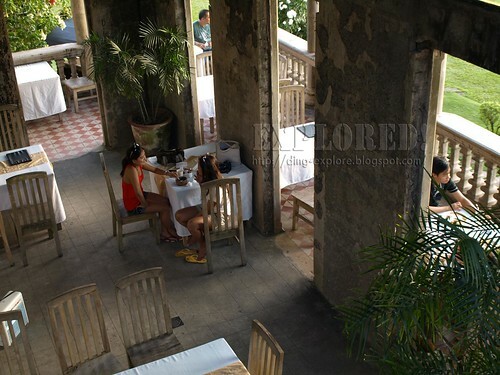 The Ruins has a dining area that operates from 8:30 am to 8:00 pm daily. The four-tiered original fountain adorns the garden dedicated to Maria. For more photos, please CLICK THIS LINK. For information on The Ruins, please check their website.